The PIC18F13K50 brings advanced features and exceptional value to the embedded USB market. This low cost PIC® Microcontroller features a full speed USB 2.0 compliant interface that can automatically change clock sources and power levels upon connection to a host, making it an exceptional device for battery-powered applications. 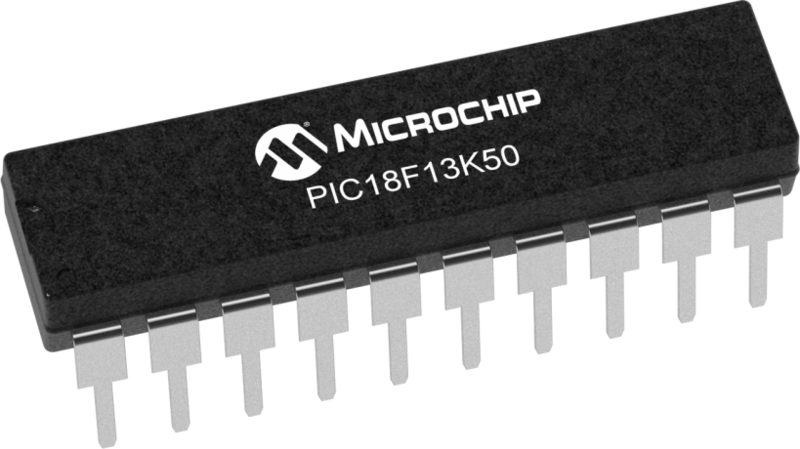 The addition of mTouch(TM) touch sensing compatibility, a 10-bit ADC, motor control PWMs, and a host of serial interfaces make the PIC18F13K50 the perfect device to "Just add USB" to any application.